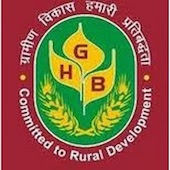 Online Application Details for Madhya Bihar Gramin Bank MBGB Recruitment of 11 Recovery Facllitator is given below. Application form and duly attested documents are to be sent to The General Manager, Special Asset Management Department Madhya Bihar Gramin Bank, Head office, Shri Vishnu Commercial Complex, NH- 30, Near Highway Petrol Pump, Aashochak, Patna-800016. In envelope super scribed with 'Application for the Post of Post Name'.